We provide a range of accounting services, which encompasses a multitude of services, such as corporation tax and self assessment returns. 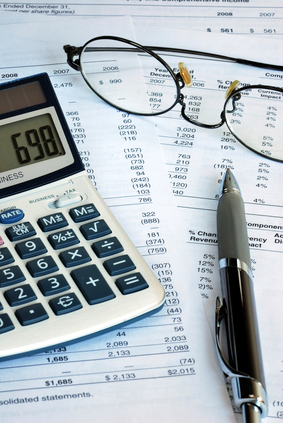 We also provide Management Accounting services. Corporation self assessment returns are complex to complete and, if deadlines are missed, penalties can mount up. They also have to be submitted on line, with the accounts in iXBRL format. We have the software that will handle this. We will complete all of the computations required to ensure that you meet all of HMRC’s requirements. We will tell you the company’s tax liabilities and remind you when tax is due to be paid. We can help you to plan a range of finances for your business, helping you to effectively and efficiently plan your business’ budget to help you stay in the black. We are an understanding and friendly company and work hard to help our clients to succeed. If you are planning a new business, then you are in the right place. Not only do we offer a free first consultation, we continue our high level of service by treating our clients as people not numbers, offering a friendly and professional advice throughout your time with us. Come to us today for help with business start ups in Blaenavon. As the government attempts to close loop holes, HMRC are developing more initiatives for tax conformity. Over the past couple of years we have seen investigations become progressively more in-depth. HMRC’s powers have been considerably increased during this time and inspectors can now go back up to twenty years when calculating any supplementary tax that may be due. As a result, the length of investigations is increasing and our fees would be bound to reflect that. Bridge Accountants offers a tax investigations insurance service, which is designed to reimburse our fees in the event that you are investigated by the Revenue. For an annual fee you can subscribe to this service which will cover our professional fees in the event that the case is defendable. Call us today for more information on this, management accounting or any other of our great accounting services in Blaenavon..